This journal does not feature personal pricing and is not available for personal subscription. 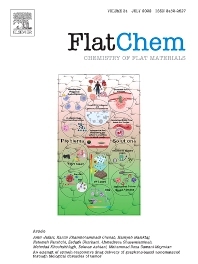 FlatChem - Chemistry of Flat Materials, a new voice in the community, publishes original and significant, cutting-edge research related to the chemistry of graphene and related 2D & layered materials. The overall aim of the journal is to combine the chemistry and applications of these materials, where the submission of communications, full papers, and concepts should contain chemistry in a materials context, which can be both experimental and/or theoretical. In addition to original research articles, FlatChem also offers reviews, minireviews, highlights and perspectives on the future of this research area with the scientific leaders in fields related to Flat Materials.